Built 1907-1908 by Lorenz Gudme and Ludvig Andersen. Opened 19 Sep 1908 with Pierre Berton's "La Belle Marseillaise". Renovations in the 1990s. Re-opened 1994 with J. Strauß's "Die Fledermaus". Used for major operetta and musical performances. Ca. 1000 seats. 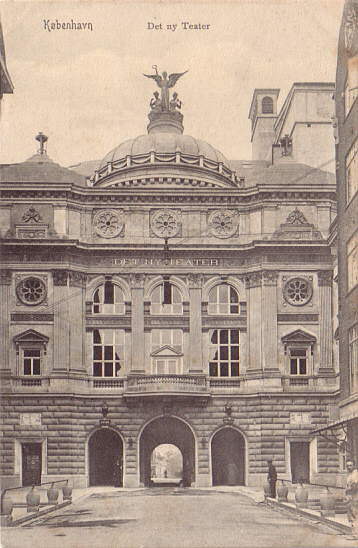 Front Text: "København, Det ny Teater", inscription: "Det ny Teater"